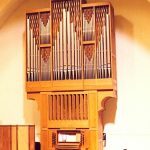 Our church’s magnificent pipe organ was built and installed in our sanctuary in 1975 by Swiss-born, Canada-based organ innovator Hellmuth Wolff. It was rededicated in 1993 to the memory of our longtime organist Frank Eldridge. 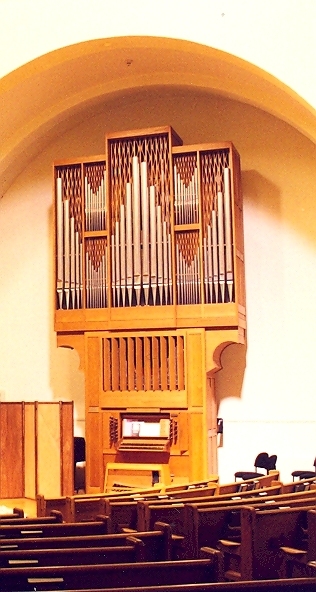 The organ has two manuals, 3 divisions, 20 stops, 22 registers, and 26 ranks. Manual compass is 56 notes. Pedal compass is 30 notes. Mechanical key, stop and expression action.